Sandra is a member of Praxis team since 2018, but her cooperation with the think tank started already a year ago – firstly as a trainee and then as a partner in a number of education related projects. Sandra’s main field of research is school choice. She has studied it from the sociological as well as from the political science perspective, i.e. how families make their choices and how to decrease the potential educational stratification caused by the school choice. With the background of politics and governance (BA studies) and public administration (MA studies) Sandra is also very interested in several political system related topics such as political culture and parties, explanations of political changes and development of the welfare state. One of Sandra’s strengths is the interdiciplinary approach – ability to see the links between different policy fields and to integrate politics with policies. 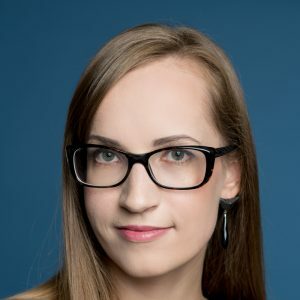 Sandra also has an experience as a trainer – she has given lectures and supervised workshops in Tallinn University on topics such as the welfare state and public policy analysis. Sandra speaks English fluently, and German and Russian at beginners level. In her free time Sandra loves to read, watch an intriguing movie or relax in nature.